A new bill that has just been passed by the Senate intends to help SMEs attain success in most aspects, including financing. 'Go Negosyo Act' or Senate Bill No. 2046 also aims to help lower unemployment rate by creating more jobs through small businesses. The Senate has passed a new bill that is aimed at helping boost job creation and reduce unemployment. The ‘Go Negosyo Act’ or Senate Bill No. 2046 was approved by the law-making body on February 24, 2014 during the third and final reading for it. 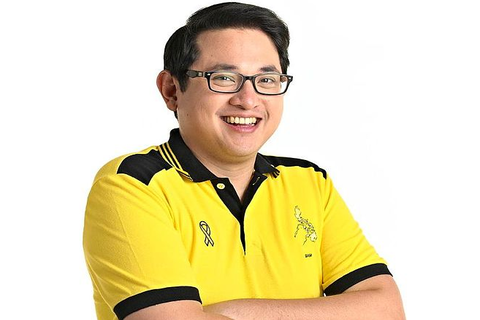 The principal sponsor of the bill, Senate trade committee chairman Benigno ‘Bam’ Aquino IV, acknowledged the support of his colleagues in the Upper Chamber. He thanked them for acting hastily for the passage of the new legislation. In a press release from the Senate, Sen. Aquino expressed his confidence that ‘Go Negosyo Act’ can help make micro, small, and medium enterprises (MSMEs) succeed and grow. “Kapag mas maraming negosyo ang nagbukas at lumago, mas marami silang mabibigyan ng kabuhayan at trabaho sa kani-kanilang mga komunidad (more jobs will be created if more businesses grow and if more of those would be established),” he said. Based on the legislator’s estimates, the MSME sector employs about 66% of the total labor force. In turn, such small businesses account for up to 99% of all enterprises nationwide. ‘Go Negosyo Act’ mandates the creation of ‘Negosyo Centers,’ which would be directly supervised by the Department of Trade and Industry (DTI) in every municipality and city nationwide. Those centers would help make starting up and registration of small businesses easier. Negosyo Centers would also provide access to sources of seed money to finance deserving startups. Furthermore, such centers would facilitate development programs as well as provide support for business conceptualizations, management, team building, marketing, human resources, and many other aspects of maintaining businesses. Sen. Aquino said he is counting on support not just from government agencies but also from the private sector to make this law succeed in achieving its goals. The young senator has an aggressive target for Go Negosyo Act: to reduce national unemployment by more than half or at least half soon.